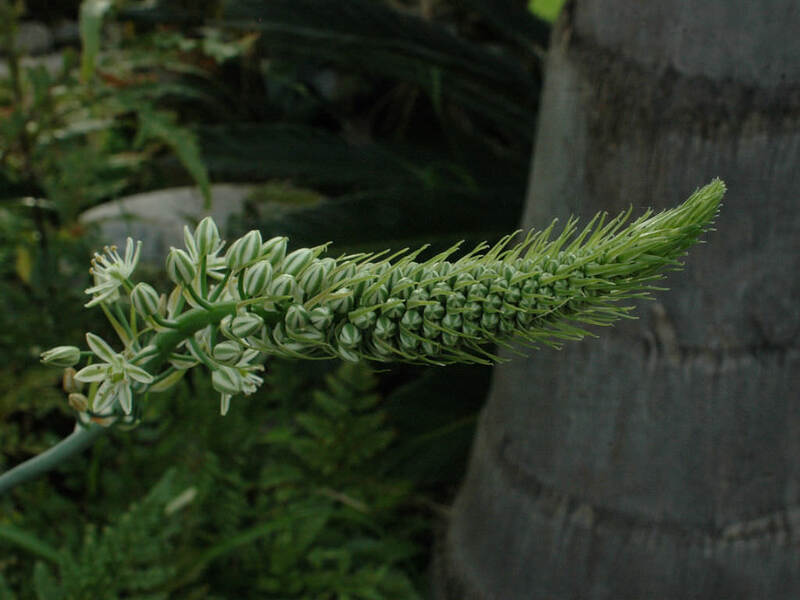 Albuca bracteata is a flowering plant often found among the collection of succulent fanciers, because of the green opalescent, exposed bulb with curious little bulblets that form on the bulb layers, causing ‘pregnant’ looking bumps until the layer sloughs off to reveal the bulblets. 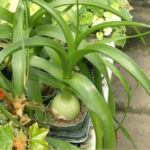 Leaves are green, semi-succulent, strap-like, up to 2 feet (60 cm) long and up to 2 inches (5 cm) wide. 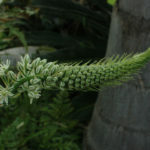 Inflorescences are spikes, up to 3 feet (90 cm) tall, capped by small white fragrant flowers with green, central stripes, often produced in different seasons. 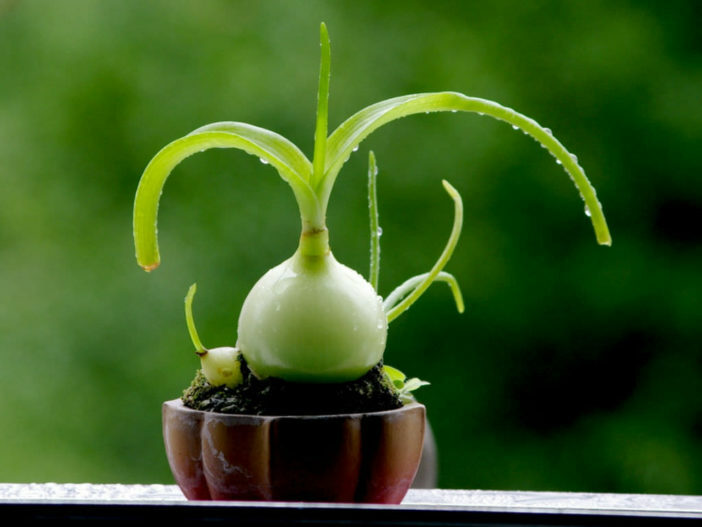 Albuca bulbs require sandy, loose soil in full to partial sun to produce their characteristic blooms. The plants can grow 3 to 4 feet (90 to 120 cm) tall with a slightly smaller width. Good cultivation encourages removal of the bulb from the outdoors in zones with frost. They are not frost hardy and cold temperatures can damage the bulb. These South African natives look particularly attractive in rock gardens, slopes and even containers. The biggest requirement for Albuca care is superior drainage. The regions to which they are native are not known for consistent moisture, which means it is drought tolerant once established. Consistent watering at planting is necessary to mimic the rainy season but thereafter, light watering is all that is necessary when caring for Albuca. Fertilize the bulbs annually at installation and in the early spring with a good all-purpose bulb food. 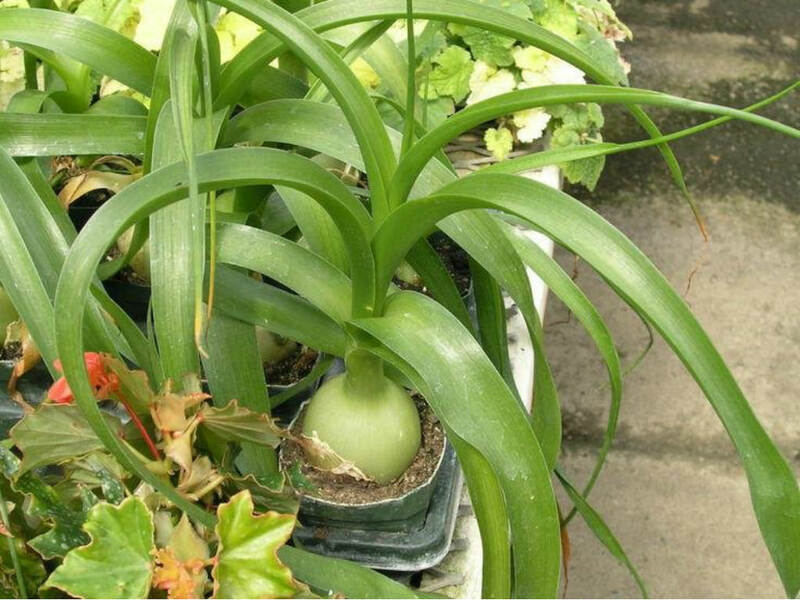 Cut back spent foliage after it yellows and begins to wilt… – See more at: How to Grow and Care for Albuca. Native to South Africa (the Cape Provinces, KwaZulu-Natal) and tropical east Africa.